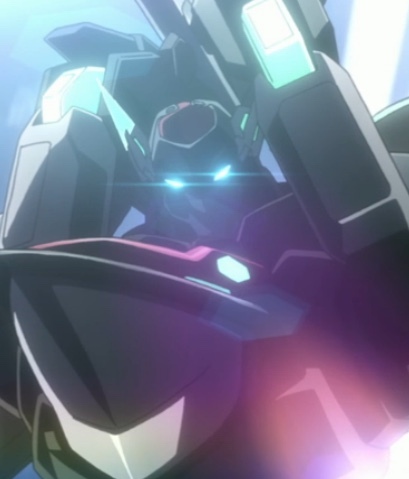 “Phoenix Festa,” the ninth episode of The Asterisk War, showcases Ayato’s speed. It also showcases the raw power of some of his upcoming opponents. Amazon’s selling T-shirts where you can select the logos of the various schools in The Asterisk War. You can see them here! Dirk Eberwein and Kashimaru Korona are in the dungeons at Le Wolfe Black Institute. Dirk opens a cell and orders Irene Urzaiz to eliminate of Amagiri Ayato and his sword because either might cause problems for them in the future. Irene doesn’t need to win the Festa, but if she does so much the better. She only agrees after she confirms that her sister is still safe and untouched. Irene only agrees to help Dirk after he swears her sister’s okay. Capture from the Crunchyroll stream. In the main stadium, the Phoenix Festa is about to get under way. Madiath Mesa, head of the Festa’s Steering Committee and a previous Festa winner, announces rule changes: autonomous weapons (like the dolls Allekant’s Ernesta Kuhne designed) and alternates will be allowed. He promises they will all understand why some day. Since they have time before their match, Ayato and Julis-Alexia van Riessfeld have lunch with Sasamiya Saya and Toudou Kirin, who surprise their friends with a home-cooked meal. Ayato and Julis tell Saya and Kirin that they have no strategy for this match. Saya and Kirin have to watch the match to see what they mean. As Ayato and Julis take the stage, the announcers make a big deal of Ayato being ranked number 1. They also play up Julis’ number 5 ranking. She takes a moment to wave to the crowd, and seeing how well she handles those assembled, Ayato gains a new appreciation for her poise as a real princess. Their two opponents rush at them as soon as the match starts. 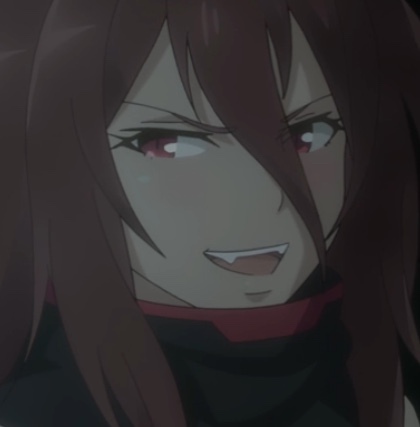 Julis, having confirmed her prediction that the other team would try close-quarters combat, tells Ayato that she’s counting on him and walks off the watch. Ayato makes a big show of breaking his sister’s chains to make the crowd think it’s just part of his performance. He then blows right past both opponents as their badges, shattered by his sword, fall to the ground. He wins the match before the announcers can finish saying the match was underway. Ayato’s tactic was not just for show: he and Julis now have a win under their belt, and no one has any idea of how they will work together. The next match features Kuhne’s two puppets: one huge and hulking (AR-D, a.k.a. Aldy), one patterned after a woman (RM-C, a.k.a. Rimsy). The other team, from Le Wolfe Black Institute, complain between themselves that the Steering Committee is setting them up to be spoilers. As they begin the match, Aldy says he’ll give them 60 seconds to attack the puppets, during which time the puppets will not respond offensively. It didn’t help. Both puppets use such effective defensive shields that no attack can touch them. Worse, when the 60 seconds expires, their offensive capabilities utterly overwhelm their opponents. It is less a contest than the previous match. The staggering power that the two robots demonstrate shocks the crowd and our heroes. Aldy appears to be undefeatable. Capture from the Crunchyroll stream. When Saya finds Ayato, she attaches herself to his left arm. No warning, no getting, just an affectionate grasp. I love how she’s so matter-of-fact about it. Her attitude as she announces she coached Kirin through making lunch was endearing, too. Saya got jealous of Ayato patting Kirin on the head, so she maneuvers herself to get patted as well. Julis is jealous, but she’s too proud to do anything but fume. It’s not a lot different from many harem romances. but what I really enjoy about this show is how much Kirin, Saya, and Julis stay in character as they maneuver. Julis waving to the crowd underscored her innate nobility, not in a condescending way, but in how she handled the pressure of public scrutiny. I really liked Ayato’s expression as he understood that his partner was, in fact, nobility. Their relationship seems to be deepening in a good way. Ayato’s victory was not only swift and complete, it fulfilled their strategic goal of now letting anyone see their full powers or teamwork. I like the intricacy and realism of their plans. Aldy’s reasoning for the free 60 seconds? Show how well his master had built him and Rimsy. That’s confident and arrogant, but a lot of fun to watch! More than a little horrifying, too, as we see what happened after the 60 seconds had passed. The repartee between Aldy and Rimsy was fun to watch. Apparently, Kuhne paid a lot of attention to their personalities. Ayato and Julis were slack-jawed at the raw power Aldy and Rimsy demonstrated. I’m really looking forward to how they respond. Julis and Ayato were both astonished at the power of the two robots. Capture from the Crunchyroll stream. In Crunchyroll’s comment section for this episode, Series5Ranger commented, “10:1 that the female robot falls for Ayato during the fight.” That’s one of the reasons I really enjoy Crunchyroll’s comments: they’re often amusing or insightful, and they are almost never rude of demeaning. It’s a warm community that’s fun to be part of. If you haven’t already signed up for a Crunchyroll membership, I highly recommend it. While I understand the Genestella have amazing abilities, I would think that keeping Urzaiz locked up in the Le Wolfe dungeons would make her skills degrade. It seemed like she was chained in her cell for a long time. Perhaps she’s let out to exercise and bath, but the presentation of her captivity bothered me. Saya is to not subtle — I love that about her. Capture from the Crunchyroll stream. I like how The Asterisk War is able to blend character to character drama and conflict with school to school and government-level conflicts. The events playing out between Ayato, Julis, and their friends is as interesting to me as the intra-school rivalry between Dirk and Claudia; both are as interesting as the movements happening at the state-level, like changes to the Festa and the method of selecting executives. I don’t think it’s easy for a series to balance these elements. 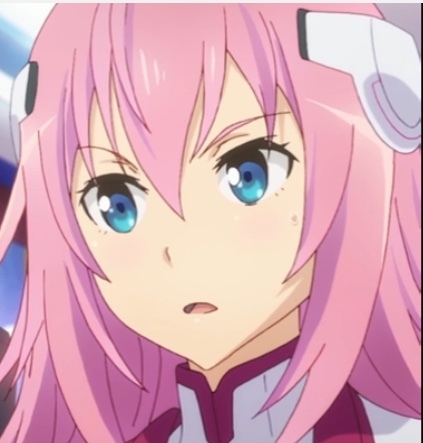 The Asterisk War has completely captured my interest in this regard. In terms of my favorite characters, I think that Saya has taken the #1 spot from Julis. Her dead-pan delivery, dedication to her father, and affection for Ayato and Kirin has won me over. 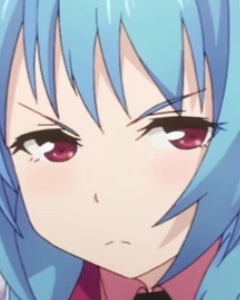 I’m not saying I dislike Julis. She’s become a much more complex and satisfying character than I anticipated when I watched the series, and that’s saying a lot! So I’ll have to wait and see how this all plays out. Which character will end up being my favorite? What a delightful dilemma to have!